An ASU student walks to the Unexpected Art Gallery in Phoenix, Arizona, on Wednesday, April 4, 2018. Unexpected Art Gallery will be hosting "The Delight Manifesto" on April 7, 2018. A common thread ties together the myriad different artistic disciplines: The pursuit of happiness through creative expression, according to ASU dance performance juniors Tiffany Velazquez and Elle Spinelli. The pair are co-hosting "The Delight Manifesto," an interdisciplinary creative exhibition comprised of dancers, poets and live painters, and their passion for artistic creativity goes far beyond the field of their studies. With funding from a grant awarded by ASU’s Dance Undergraduate Organizational Support club, Velazquez and Spinelli have organized and will host the event slotted to take place on April 7 at the Unexpected Art Gallery in Phoenix’s Grand Avenue Arts District. The project, which involves both the ASU and broader Phoenix communities, has been under development for the past nine months, according to Velazquez and Spinelli. In an effort to promote camaraderie and familiarity among those who attend, Velazquez and Spinelli have designed the performances they will present during the show’s two-hour run time to be as interactive as possible. “We basically wanted this show where we could present our work in a positive way that could bring the community together to share an experience with each other,” Spinelli said. Velazquez said that her motivation for the project came from a similarly artistic place. Velazquez and Spinelli said that some of the performers at “The Delight Manifesto” would include the graffiti crew Graffaholiks, as well as artists Hunter Martin and Nyla Lee, among others. Attendees will have the opportunity to move through the venue to see both indoor and outdoor performances. Tickets for the event can be purchased through Eventbrite for $10. Miguel Pedraza, a senior majoring in dance and the president of ASU DUOS, was tasked with awarding the grant, and said he chose Velazquez and Spinelli because of their ambition and dedication to putting on a show that went beyond the ASU community. 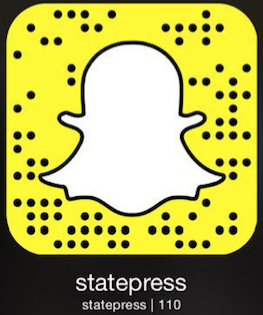 Reach the reporter at sleal2@asu.edu or follow @journaslam on Twitter.